I must admit, we never really celebrated Halloween when I was growing up. I saw Halloween on American TV -pumpkin pie, trick or treating and spooky parties – and I just assumed that it was not something we really paid much attention to over here. However, with each passing year, Halloween seems to be more and more popular. My children’s generation will grow up with Halloween events, treats and dressing up being as much a part of their childhood experience as Santa Claus and Chocolate eggs. As a result of my own Halloween-free childhood, I have never really been able to muster up much enthusiasm for the holiday in the past. Since I became a blogger, that is certainly changing. 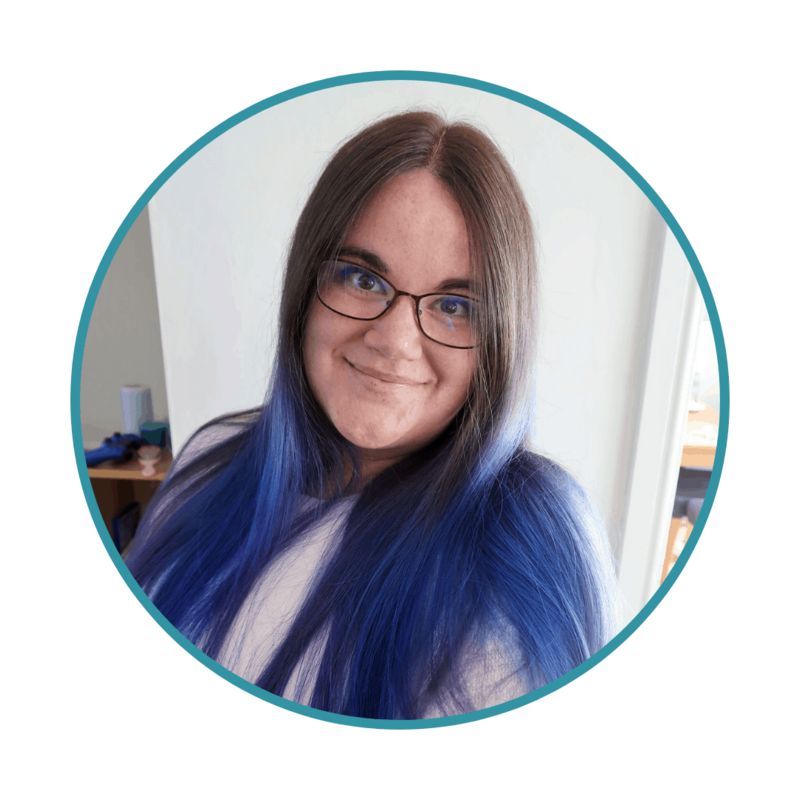 Blogging is, by nature, in tune with the seasons. They become magnified – almost more concentrated – as the build-up to holidays and seasonal events starts early and dictates what we are writing about. The colours of the season dominate my blog and my Instagram feed. Autumn is ruled by browns, reds, yellows and, of course, the bright orange pop of Halloween. 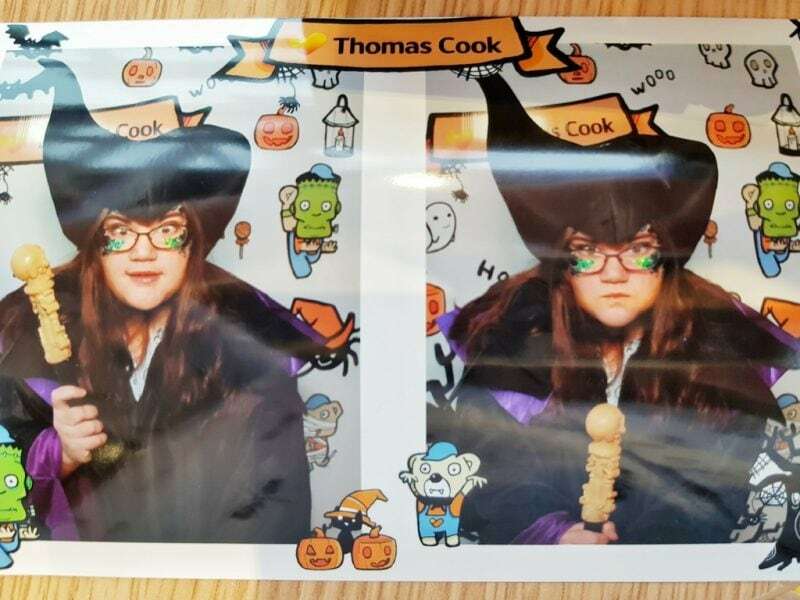 Last Thursday, I had the great pleasure of attending Thomas Cook’s Halloween event in Peterborough. 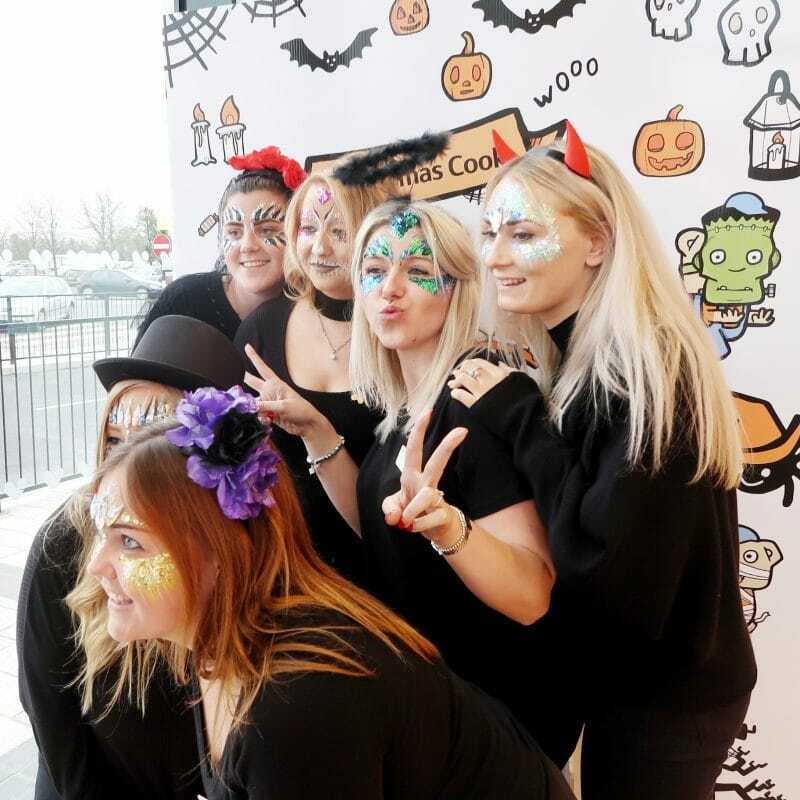 There was great fun to be had, with dressing up, face-painting, and lots of tricks and treats for all. And I have to admit, Halloween is growing on me. 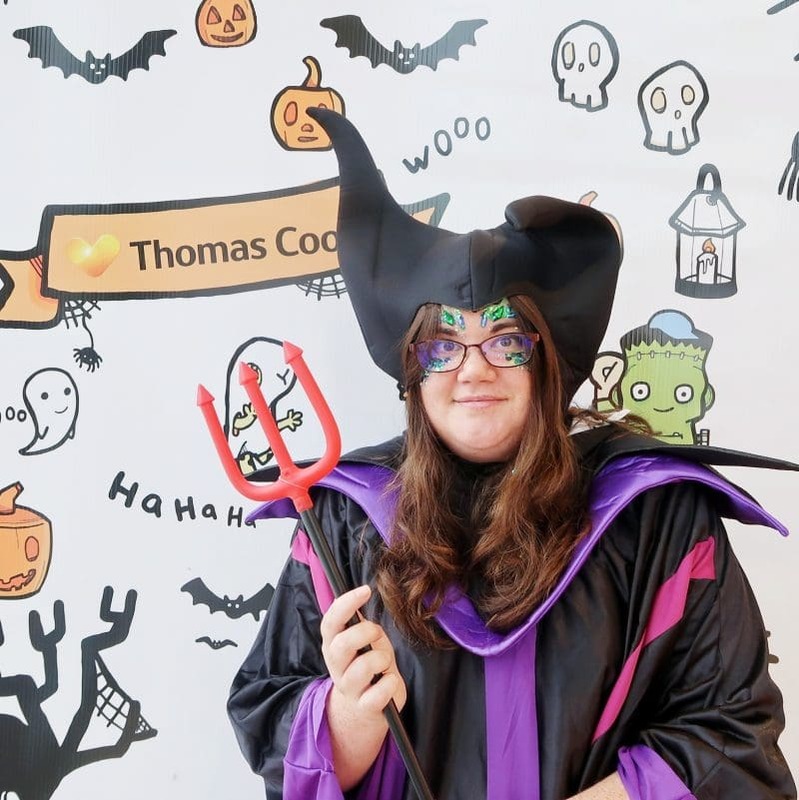 When I arrived at the event, it was clear that Thomas Cook had a great day lined up for customers and passers-by. They were in the middle of setting up their spooky photo-booth and had lots of costumes at the ready. The staff were all dressed up and looking spooky and the shop was decorated with the obligatory Halloween Pumpkins. 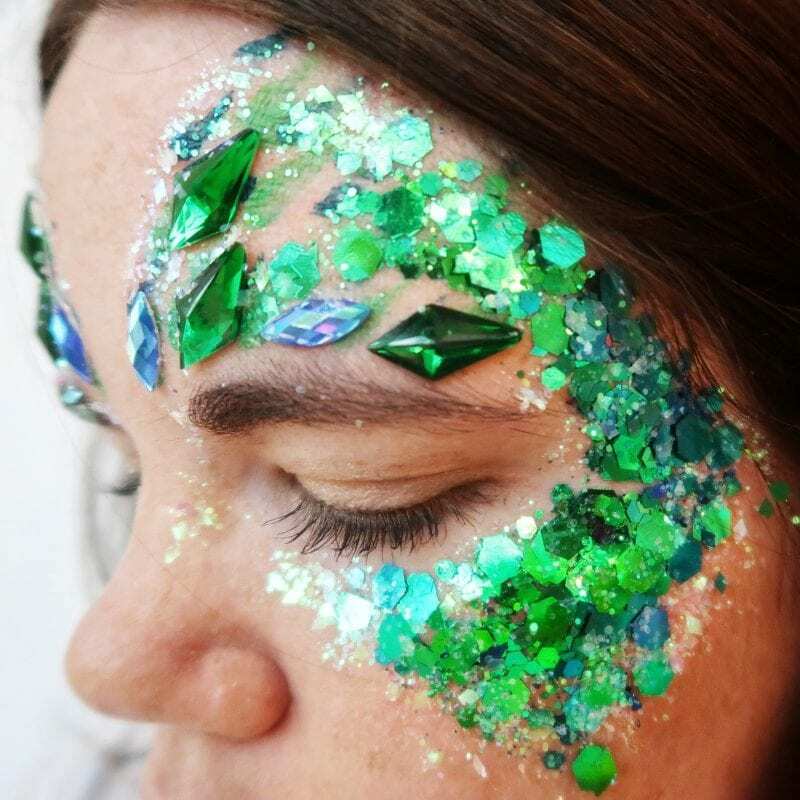 Lastly, some make-up artists from the amazing The Gypsy Shrine were there to help us get in the mood for some Halloween glamour. 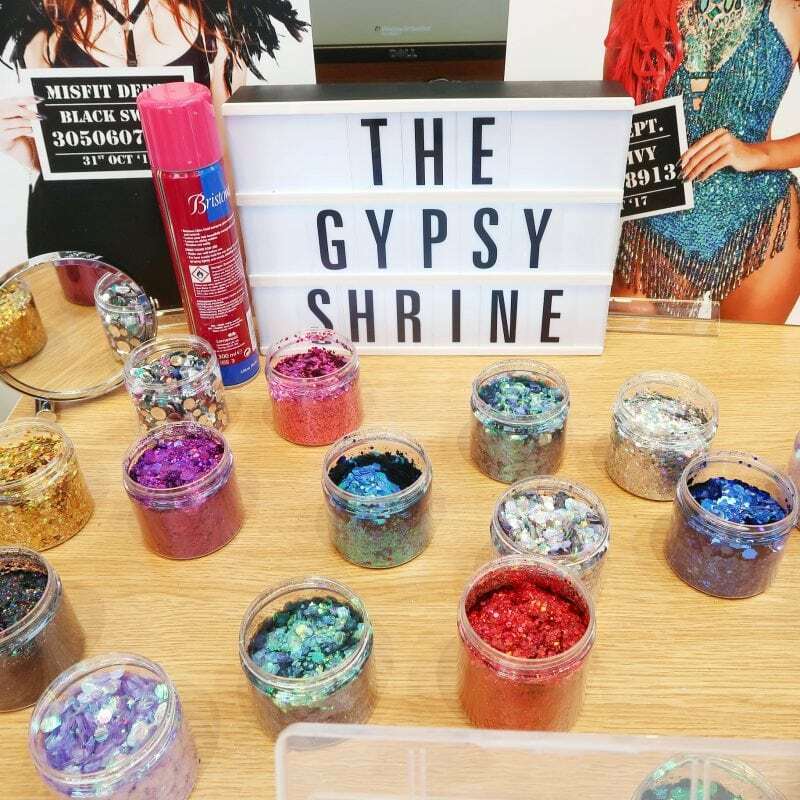 The Gypsy Shrine are a body art and make-up company who specialise in all things sparkly – and on making faces and bodies beautiful for that celebratory event, from festivals to masquerade balls. As soon as I arrived, my first task was to let The Gypsy Shrine experts make me dazzling with a touch of spooky. The art on my face certainly made me feel excited about dressing up and getting into character. Members of the public were invited in throughout the day. So many children were delighted to have their faces decorated by The Gypsy Shrine. From red devils to frozen princesses, their designs definitely added some sparkle and delight to the event. Once we had chosen costumes and felt in character, it was time to get silly with some spooky pictures. Thomas Cook were running a competition to win an amazing prize – a family holiday to Florida. All you had to do was share your spooky dress up pics and tag #YouTrickWeTreat. The competition has since closed but there were some great entries created while I was there on Sunday. We also had great fun while using the photo-booth and having a play with some silly and spooky dress-up pictures. 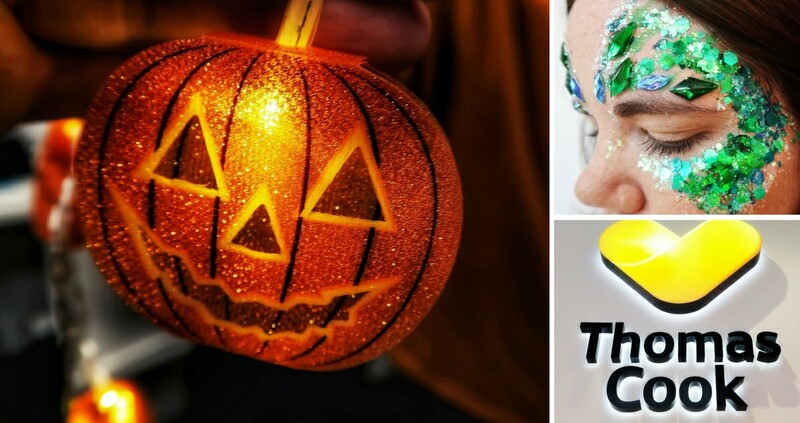 If you want to join in the Halloween fun with Thomas Cook, check out this great resource for learning about Halloween all over the world – 50 Weird and Worldly Halloween Facts. Did you know, for example, that in Sicily, one of my top wishlist holiday destinations, children wake to gifts and sweets on All Saints Day, a bit like Christmas? They believe that they are delivered by spirits though! 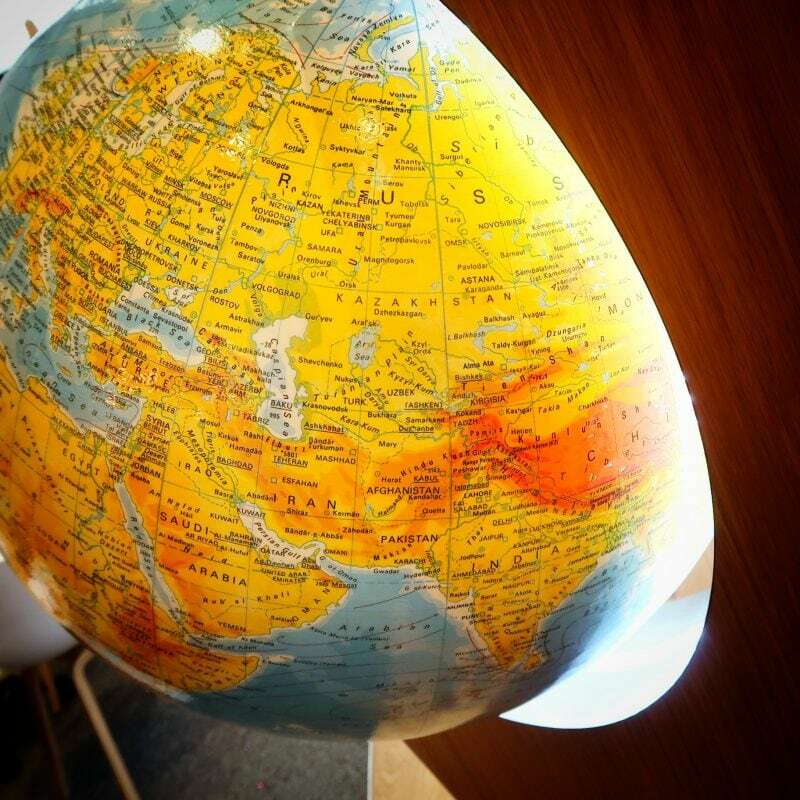 You can find out more fascinating facts about the world via the link above. It would make a great Halloween guessing or Call My Bluff game. I am certainly in the mood for some spooky antics after my fabulous day at Thomas Cook. I cannot wait for the festivities to start. Wherever you are in the world, have a happy Halloween! Please note that this post is a collaboration with Thomas Cook. We never celebrated Halloween when I was young either but I really love it now and the boys get so excited about it. It’s like a warm-up for Christmas! 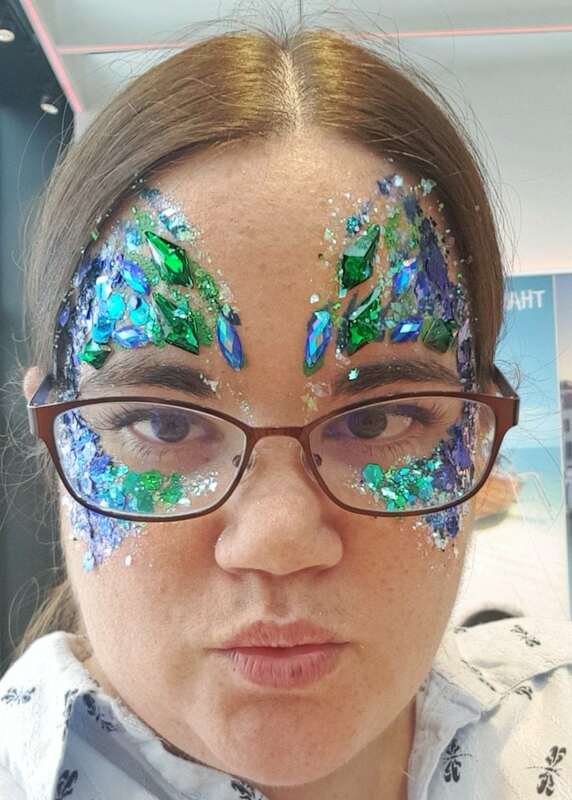 Looks like you had lots of fun at at event and the Halloween makeup looks amazing! Loving the glitter! It looks like you had a really great day.